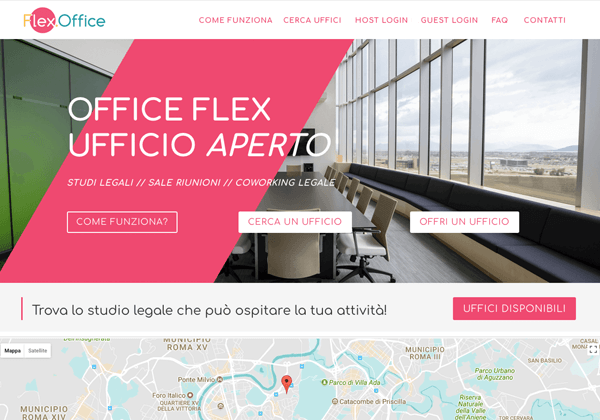 FlexOffice is a coworking platform for lawyers and law firms that is being built by the ANF – Associazione Nazionale Forense of Rome (National Attorney Association). Our division Truly Social has been contacted by their roman agency to create a fresh, responsive and most of all well-optimized design for the website, which will be a sort of “airbnb for lawyers” who need to book law studio spaces for meetings when they operate in Rome, outside of their territory. If the project will be successful, it will probably be scaled up to cover the entire national territory in Italy. A good crowdsourcing project for businesses, and we are glad we inputed a solid front-end design for the FlexOffice website, which is still under development.